What you need to know about the Spectrum diet. Countless diet plans are out there for you to choose from, spanning the spectrum from healthy and sustainable to completely bizarre. But one diet plan doesn’t span the spectrum. It is the Spectrum. Based on the book “The Spectrum: A scientific program proven to feel better, live longer, lose weight, and gain health” by Dr. Dean Ornish, the Spectrum diet may be worth considering. Read on to learn the theory along with how-tos, pros, and cons of this all-encompassing approach to weight loss. Most diet plans are focused on one thing: food. They’re all about what you can and can’t eat. The Spectrum, on the other hand, is a personalized weight-loss approach that encompasses diet, lifestyle changes, and disease prevention. Because everyone comes with his or her own unique genetic make-up (a spectrum) and there is a “spectrum” of diet plans available, the path to health and weight loss can be confusing and intimidating. Dr. Ornish’s goal is to bring awareness to people so they’re prepared to make wise food and lifestyle choices. Meditation, conscious thinking, stress management, exercise, and diet are all parts of the Spectrum. The foods you choose depend on your health and weight-loss goals. This means no two people will follow the same exact plan. Foods are divided into five groups. Group one contains the healthiest foods and is primarily plant-based. These foods include fruits, vegetables, whole grains, legumes, and non-fat dairy. Group two adds foods with healthy fats such as nuts, seeds, avocados, and canola oil. Moving along the spectrum to group three, you find seafood and reduced-fat dairy products. Foods in group four contain more fat, animal protein, and fewer nutrients. Examples include poultry, full-fat dairy, mayonnaise, and baked sweets. At the unhealthy end of the spectrum you find foods that contain saturated and trans fats. Fried foods, red meat, butter, and hot dogs are in group five. Your goal should be to eat more foods from the beginning of the spectrum and fewer from the end. Junk is discouraged and whole foods are promoted. 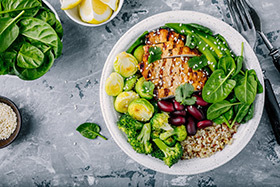 Similar to other lifelong healthy diets, the Spectrum diet encourages a plant-based, whole-grain, and low-fat diet to bring about health of the body and mind. In addition to eating healthier foods, the Spectrum program encourages a more active lifestyle. The book gives advice on when and how to exercise depending on your fitness level and health goals. 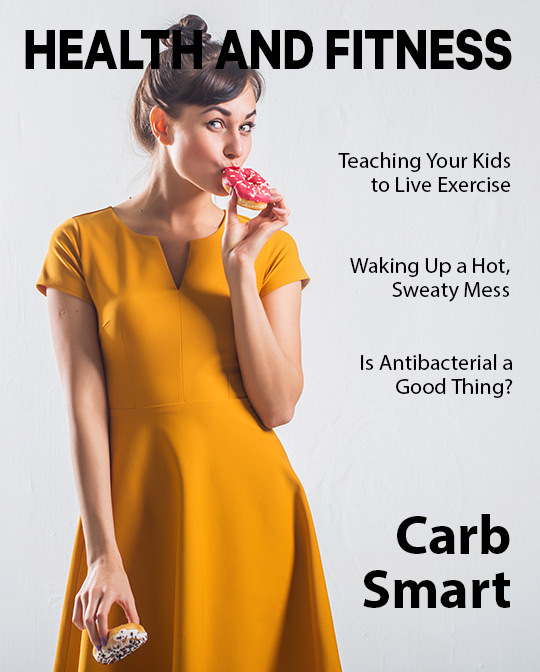 By eating foods from the first groups and including regular cardio, strength training, and flexibility exercises in your daily life, you’ll no doubt “feel better, live longer, lose weight, and gain health,” just as the book’s subtitle promises. Also, no food is off limits, so you won’t feel deprived or restricted. Rather, you have complete freedom to choose the types of foods you eat. The effort you put into the diet is what you can expect to get out of it. The Spectrum diet requires participants to be self-motivated and accountable to themselves and no one else. There are no set requirements for portion control or meal plans, so following through takes discipline, planning, and creativity. Additionally, many people find Dr. Ornish’s book difficult to understand with its medical terminology and lengthy writing style. While your food choices are up to you, the diet recommends cutting out meat and junk food. Junk is often easy to get rid of, but if you’re not up for trying a mainly vegetarian diet, the Spectrum may not be for you. At risk for heart disease? Then the Spectrum diet may be a good fit for you.